I found some beautiful summer silk flowers that I thought would be wonderful for a small vase. 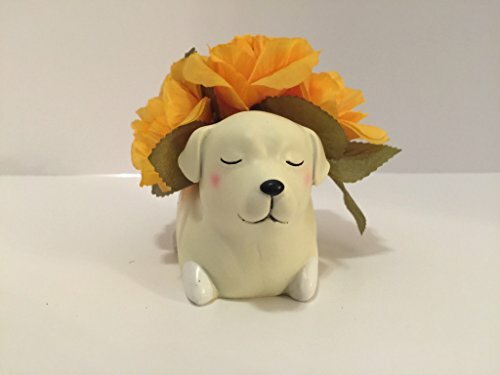 I found a resin sleeping yellow Labrador vase that measures 3" X 5" X 3" in cream yellow, pink and black. The flowers are arranged in the vase using foam, wire, moss, and glue.